Whizz Kids - Seir Kieran's N.S. This semester, the students of 4th, 5th, and 6th will again be engaging in a computer programming course held in the school. After the success of past years, and after seeing how much the students both enjoy the course, as well as how much it benefits them in the new technological world, Whizzkids will be returning again this year. The course will begin on Wednesday the 4th of May and will continue throughout the term. 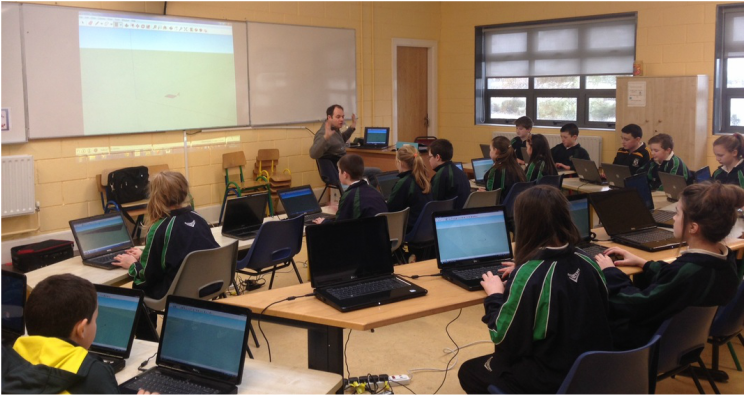 This term 4th , 5th and 6th class will be engaging with a 10 week computer programming course. This follows on from the highly successful Scratch course that the senior room engaged in last year. This years computer course will cover Microsoft Word , Power Point and Sketch up. The children will be creating posters , power point presentations and Sketch up creations. 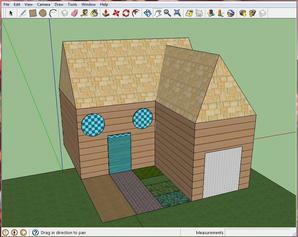 This picture of a house shows the type of 3D structures that the children will be able to create as the course progresses.